Sim till your heart's content with the all new sim solution for Vcontrol! 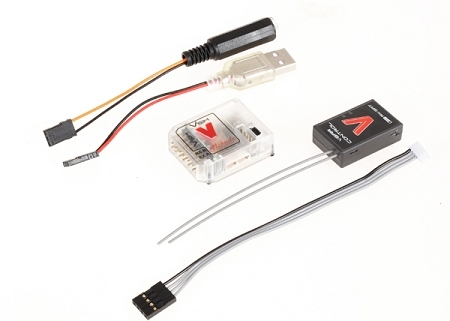 Connects to almost all current flight simulators with audio jack interface. Power supply through USB directly from the computer. Reduced transmit power for low radio wave exposure. *Simplified VBar (neither updateable nor flyable). *wire set for connection with simulator interface. *full blown VBar Control Receiver Satellite (can be used for flight operations with a regular VBar/Mini VBar). *Competitive pricing with regard to solutions of other manufacturers.